Ruth Fourstar, a student at Wolf Point High School, whose grandmother made a complaint to the Education Department’s Office for Civil Rights, in Wolf Point, Mont., Aug. 20, 2018. The government plans to investigate whether Wolf Point schools discipline Native American students more harshly than white students, shunt them into remedial programs without appropriate cause, and deny them special education evaluations and services. 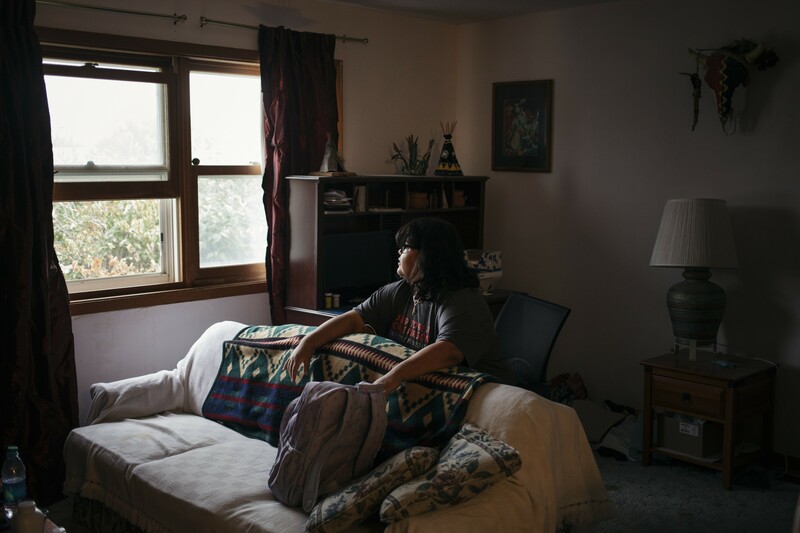 WASHINGTON — A year and a half after receiving a detailed complaint from tribal leaders, the Education Department plans to investigate their accusations that the Wolf Point School District in Montana discriminates against Native American students. In a Dec. 28 letter, sent hours after The New York Times and ProPublica published an investigation into racial inequities in the district, the department’s Office for Civil Rights notified the lawyer representing the tribal executive board of the Fort Peck Indian Reservation in eastern Montana that it would look into the complaint. The board includes members of the Assiniboine and Sioux tribes. Native American and mixed-race students make up more than three-quarters of Wolf Point’s enrollment. According to the letter, the investigation will focus on whether Wolf Point schools discipline Native students more harshly than white students, shunt them into remedial programs without appropriate cause, and deny them special education evaluations and services. The department said it would also examine whether the district failed to respond to a parent’s accusations that a Native student was racially harassed. The student was not identified. The Office for Civil Rights is already looking into a complaint by Louella Contreras that the Wolf Point district failed to provide her granddaughter Ruth Fourstar with special education services. The department’s decision to look into the tribal leaders’ broader accusations bucks the Education Department’s policy under Secretary Betsy DeVos of pulling back from investigating complaints of systemic discrimination by schools and colleges, and concentrating on mistreatment of individuals. Jeana Lervick, a lawyer representing the school district, said Wednesday that the district is closed for the holidays and is unable to comment on the federal investigation. The district’s superintendent and the high school principal did not respond to emailed questions. Should civil rights investigators identify violations of federal law, the school district could lose federal funding. Typically, before investigators recommend sanctions, school districts voluntarily enter into an agreement with the Education Department to remedy any wrongdoing.